Singapore is quite a small country – condensed enough to travel end to end in forty-five minutes. Still, the sight of the island nation from above is a special one, and for those who are interested in an even quicker and more picturesque form of transportation – whether for business or pleasure – a helicopter ride may be perfect for you. There are a limited number of providers offering chartered helicopter services on the island, and the companies tend to fall into two different categories of specialization: sightseeing and leisure travel providers, and logistics or engineering firms who have added helicopter transfer and mission based trips to their range of services. Singapore Heli Services is committed to provide first class helicopter services throughout Singapore, Malaysia, Indonesia, other parts of Asia and international waters. Their core services include helicopter flight charter, sightseeing tours, special engagement /wedding/anniversary flights, flight photography, and special hire for exclusive events such as product launches. 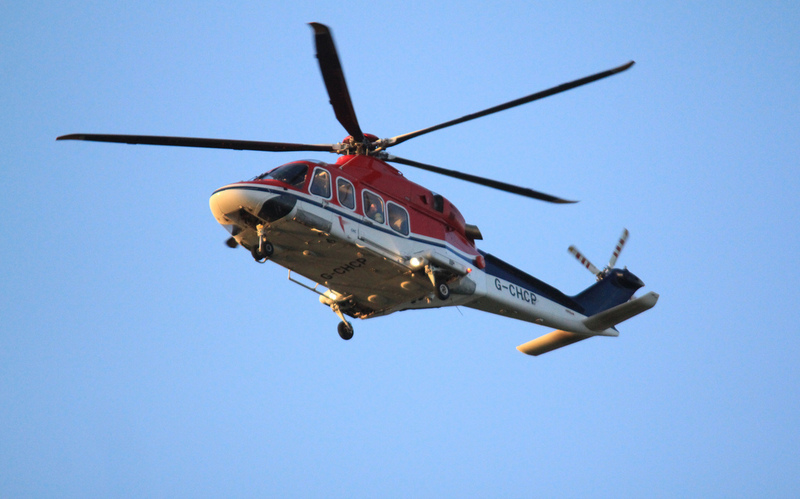 Singapore Heli Services also provides business services such as aerial filming, offshore flight support, and aerial surveying. Heli Services is known especially for their helicopter tour of the Lion City. The trip will take you up and over many of Singapore’s iconic and historical landmarks. The cabin features state of art noise reduction technology to greatly reduce cabin noise. Even then, the helicopter is equipped with a two-way radio headset so passengers can speak with one another and listen to the pilot. All Heli Services pilots are also trained as tour guides and will provide a running live commentary while you are up at 1000 feet in the air enjoying the panoramic view. Singapore Heli Services is a premier helicopter tour company in Singapore, with a 100% safety record. They also proudly fly the EC120-B, a helicopter with high standards of performance, versatility, comfort, and a low noise profile. For booking inquiries – including scheduling and rates, inquire on their website. Omni Marine brings 20 years experience of event management from New York City, and over 11 years in Private Luxury Yacht charter in Southeast Asia. In addition to private yacht services, they also offer helicopter services in many countries in South East Asia. Serving Thailand, Malaysia, Indonesia, Singapore, India, Laos, Vietnam, Burma, Hong Kong. They can assist you to arrange your own private helicopter charter to most destinations along about 50 different helicopter shuttle routes. Some customization is possible, however, passengers also have the option for trips, which have been calculated with fixed prices for fixed routes. In addition to transportation, Omni is very sensitive to the photography interests of their passengers. To help you shoot the perfect aerial photograph or video, the company may even take the helicopter’s doors off for you, ensuring you capture those rare photographs. Since each trip is bespoke, designed with the interest of the passengers in mind, costs for photography trips match standard rates for helicopter charters. Rates are made available by request, just fill out the inquiry form on their site. Singapore Air Charter is a full service private airliner offering options for military, civilian, and VIP travel. With a fleet of private and group private jets, the company is prepared to meet both intimate and high capacity requirements. Building on relationships with both national carriers and smaller independent operators allows them to present the most suitable options for your consideration by selecting from a wide variety of aircraft. Their helicopter and private and small group jet services have been commissioned to carry out logistics needs including company presidents’ multi-nation state visits, operations in support of military exercises and religious pilgrimages, transportation of oil and gas personnel, cast and crew for film production and technical support crews attending an F1 event. With Singapore’s enviable standards of medical treatment and continually expanding world-class medical facilities, Singapore Air Charter is proud to offer those seeking medical attention in Singapore, discreet, comfortable and convenient private jet solutions. On request they will also arrange appropriate ground transportation from Singapore’s Changi Airport direct to a hotel, hospital or medical center. There are many considerations involved in such a visit but rest assured that Singapore Air Charter has getting here and home again all taken care of. Singapore Air Charter lists royalty, heads of state and major corporations amongst its distinguished clientele. For more information or to request a quote, contact the charter team or call the office at (+65) 6549 7809. Singapore Technologies Aerospace – If you’re nervous about the potential complications of a helicopter flight and are looking for a true expert in the industry, perhaps a charter through Singapore Technologies Aerospace is the right fit for you. The company has become a leading brand name in the international aircraft industry as an integrated provider that offers a wide spectrum of maintenance and engineering services. ST Aerospace’s training arm strives to provide training services for both pilot and technical vocations. In addition, its air charter fleet includes a variety of helicopter and business jets for a variety of missions including executive air travel and air ambulance. Recently, ST Engineering has added helicopter flight charter services for sightseeing, aerial photography and special events.